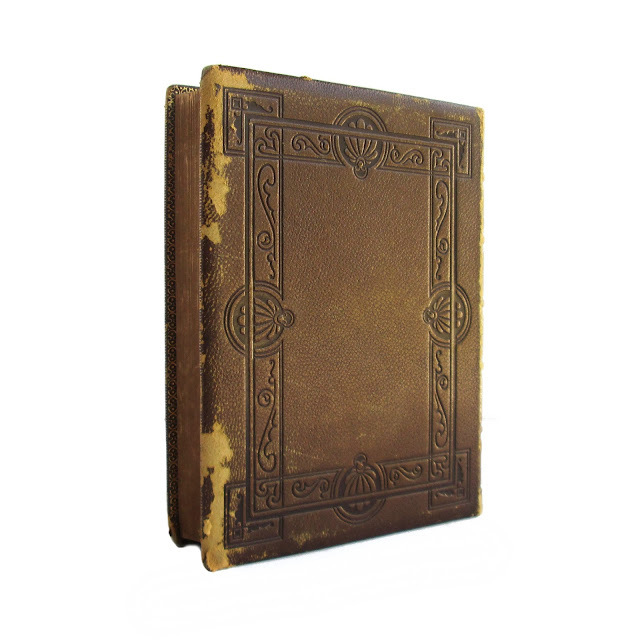 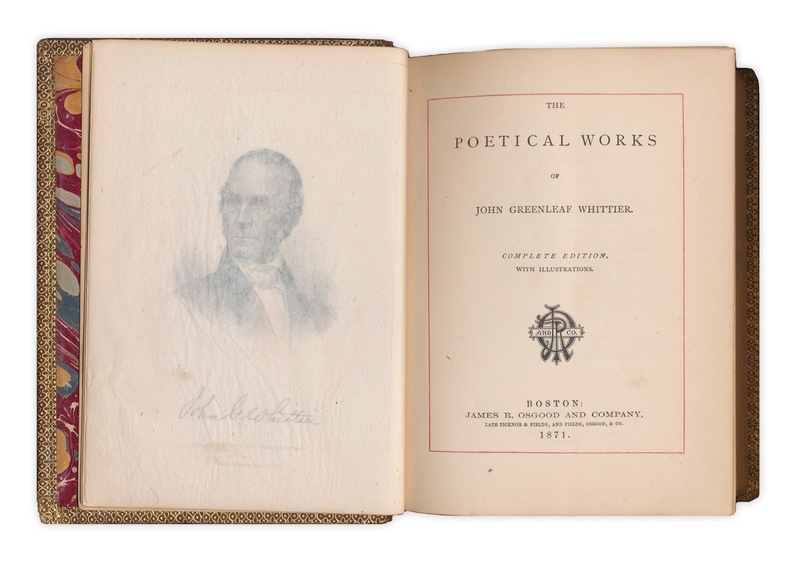 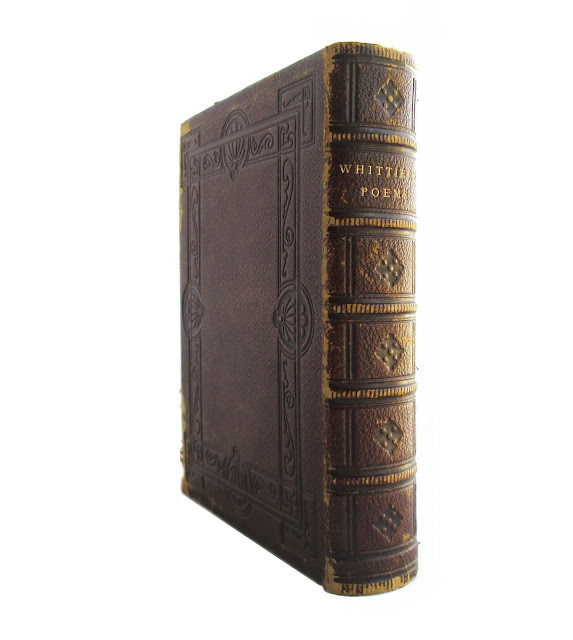 Special leatherbound collection of John Greenleaf Whittier's poems. Bound in deep brown leather with five raised bands on spine. 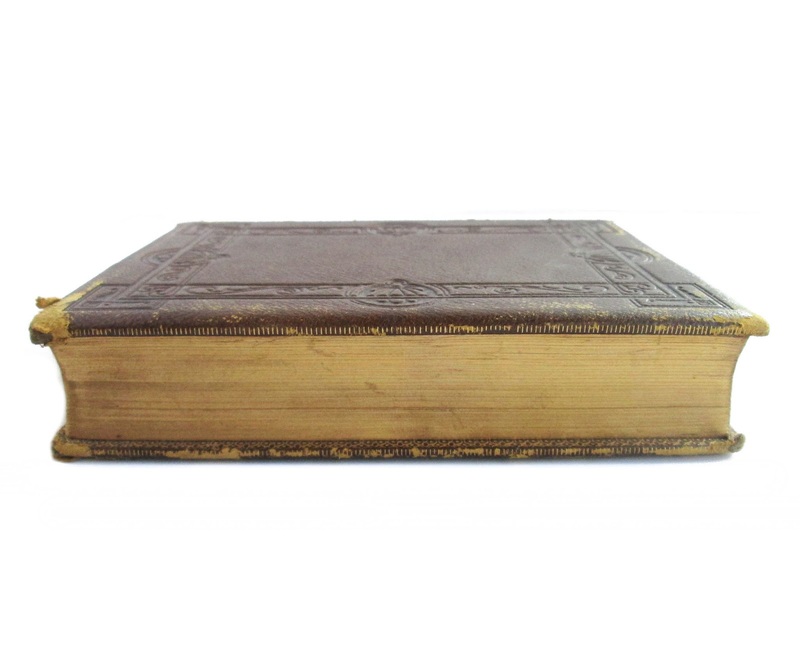 Gilt titles, beveled boards. 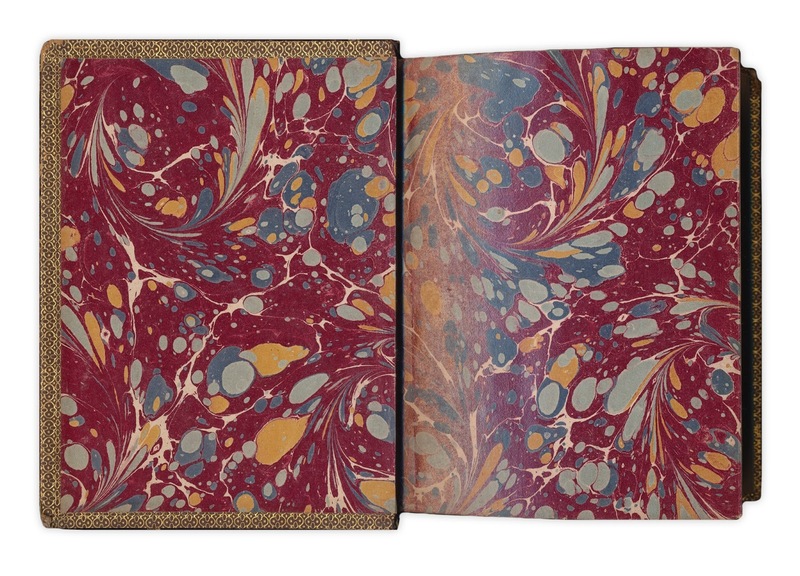 Marbled endpapers trimmed in gilt decorated border. All edges gilt. 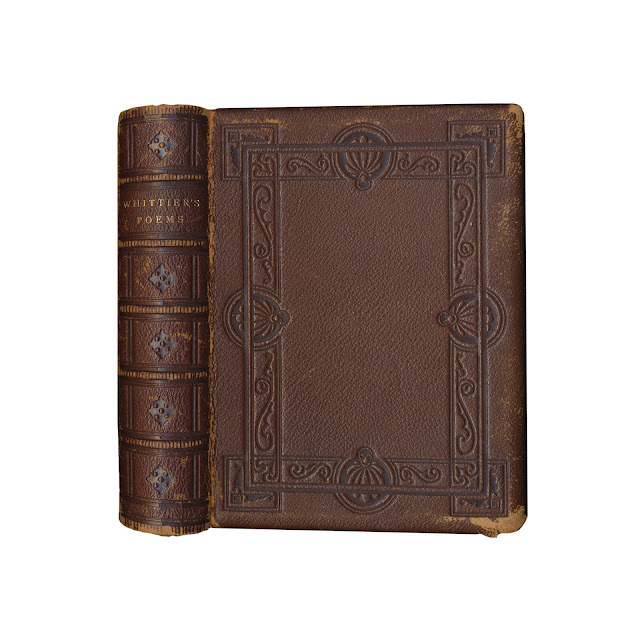 The binding is solid, but leather shows some scuffing, mostly to rear cover. Former owner's name present, some corner wear, light edgewear and light soil. 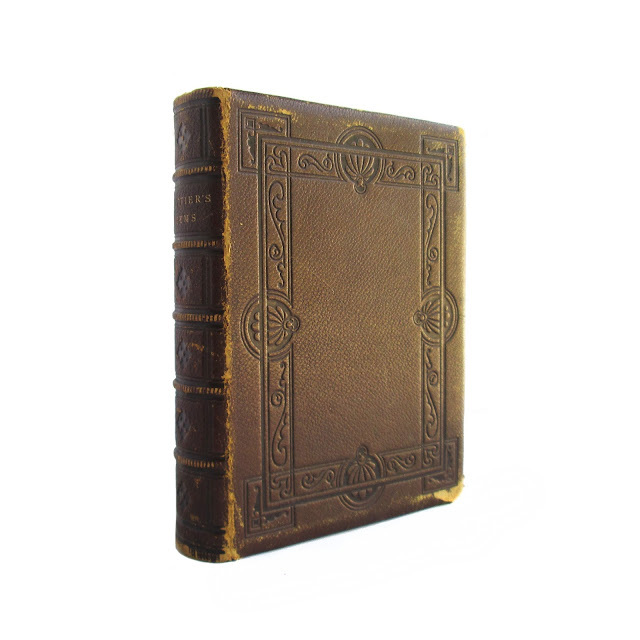 430 pages, 5 x 6.5.